CEMENT MIXER TOWABLE 9 CU FT Rentals Ft. Collins CO, Where to Rent CEMENT MIXER TOWABLE 9 CU FT in Ft. Collins, Wellington, Greeley, LaPorte, Loveland, Windsor CO and all of Northern Colorado. 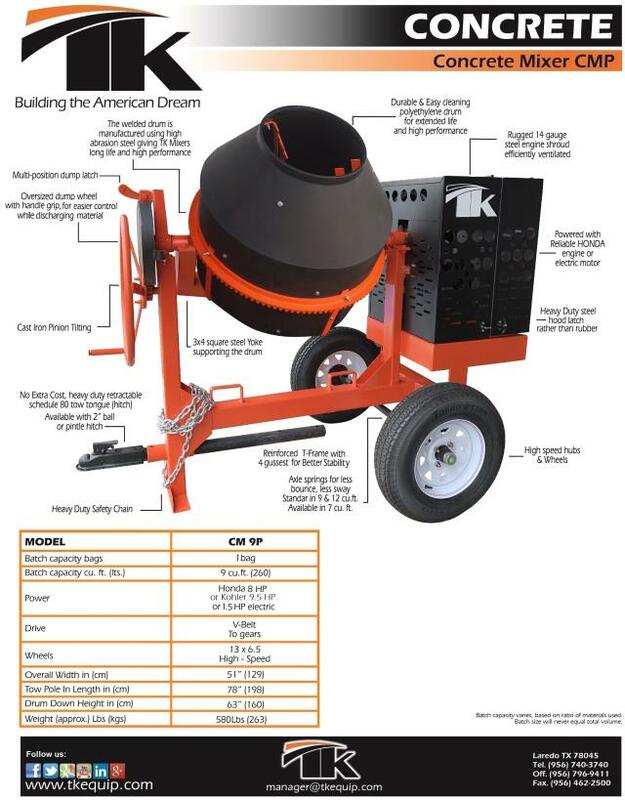 A towable 9 cu ft cement mixer. Honda gas engine driven. 2" ball required to tow. run the mixer with gravel or small rocks inside with some water. Application: Mix Ratio Cement Sand cu.ft. Stone cu.ft. * Please call us for any questions on our cement mixer towable 9 cu ft rentals in Fort Collins, Wellington, Greeley, LaPorte, Loveland, Windsor CO and all of Northern Colorado.